Jessica started working at Rocky Mountain Movement Disorders Center in October 2013 after graduating from the University of Puget Sound with a BS in biology, with an emphasis in neuroscience. She finds the brain and neurological disorders very interesting and has appreciated the opportunity to learn more about movement disorders. Jessica primarily works on Huntington’s Disease research studies and enjoys interacting with, and getting to know, HD patients and their families, while working toward more treatment options for Huntington’s Disease. Peggy has been a nurse on the Swedish campus for 35 years. After 10 years of working on the neurology unit at Swedish, she transitioned to CNI in a Clinical Research role, doing epilepsy studies. For the past 24 years, she has been the Patient Care Coordinator for the Swedish-CNI Epilepsy Center. 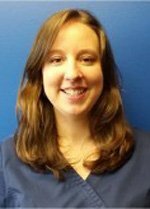 Although she has had lots of experience in the neurological arena working with patients with epilepsy, brain tumors, ALS, and strokes, she is new to the movement disorders specialty. Peggy looks forward to transitioning into this new specialty, and getting back to Clinical Research. Dr. Rajeev Kumar is one of the world’s foremost experts on movement disorders, with unparalleled experience and expertise treating and researching Parkinson’s Disease, Huntington’s Disease, Dystonia, and many other debilitating movement disorders. 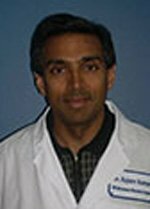 Trained at the renowned Mayo Clinic, Dr. Kumar has two decades of experience working in the fields of Neurology and Movement Disorders, and as Medical Director of the Rocky Mountain Movement Disorders Center and CNI Movement Disorders Center, he has solidified his status as one of the most trusted and respected professionals in the field. As Medical Director, Dr. Kumar has made vast advances in the effective treatment of various movement disorders, pioneering a potent multidisciplinary approach and breaking new ground in several state-of-the-art treatments. In particular, his revolutionary work treating Dystonia symptoms with Botulinum Neurotoxin (i.e. Botox) injections is studied around the country, and the Rocky Mountain Movement Disorders Center performs more of these highly effective treatments than any other center in the Midwestern region of the United States. The same can be said of Dr. Kumar’s work with Deep Brain Stimulation, a state-of-the-art surgery used to treat Parkinson’s Disease, Essential Tremor, and Dystonia. Dr. Kumar and his team have the longest and most distinguished experience with DBS in the region, and have researched and published extensively in this and several other crucial areas. 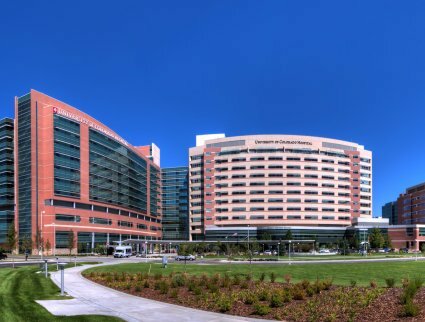 Dr. Kumar is continually involved in clinical trials for many of the most troubling movement disorders, publishes extensively, and also serves as President of the Colorado Neurological Institute Medical Advisory Board. 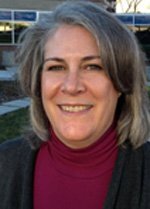 With over 15 years of experience as a Nurse Practitioner, much of it spent treating Neurological and Movement Disorders, Vicki Segro is essential to the Rocky Mountain Movement Disorder Center’s continued success. Working closely with Dr. Kumar, she assists in the intake procedures for all patients, and oversees the highly communicative, multidisciplinary approach that defines our Center’s work. Vicki is also crucial to our extensive research operations, participating in clinical research trials for Parkinson’s Disease, Huntington’s Disease, and numerous other movement disorders. She enjoys the educational side of her job, which involves teaching and mentoring other health care providers in our innovative practices. 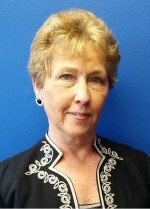 Vicki is a proud member of the American Academy of Neurology, the Movement Disorders Society, the Huntington’s Study Group, and the Parkinson’s Study Group.